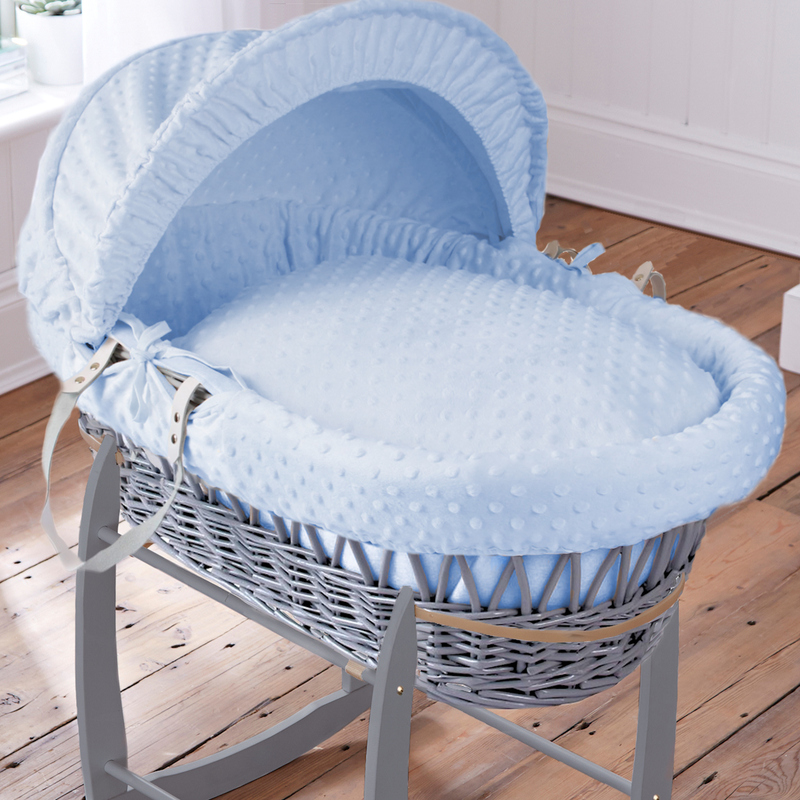 The stylish Clair De Lune grey wicker dimple moses basket is both crisp and fresh and is the perfect place to house your new arrival. Made with top quality wicker with leather handles, the Clair De Lune moses basket is lightweight, easy to carry and comes complete with safety mattress, co-ordinating hood, quilt and a padded liner for increased comfort and security. First Class seller - Thank you for the prompt service. Could not have been better .